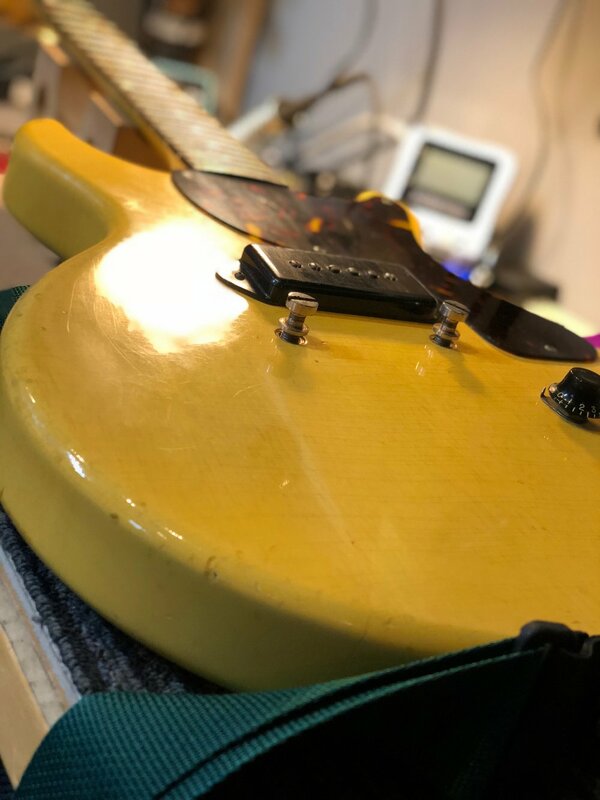 We are prepared to handle all types of stringed-instrument repair, specializing in - what else - guitars. 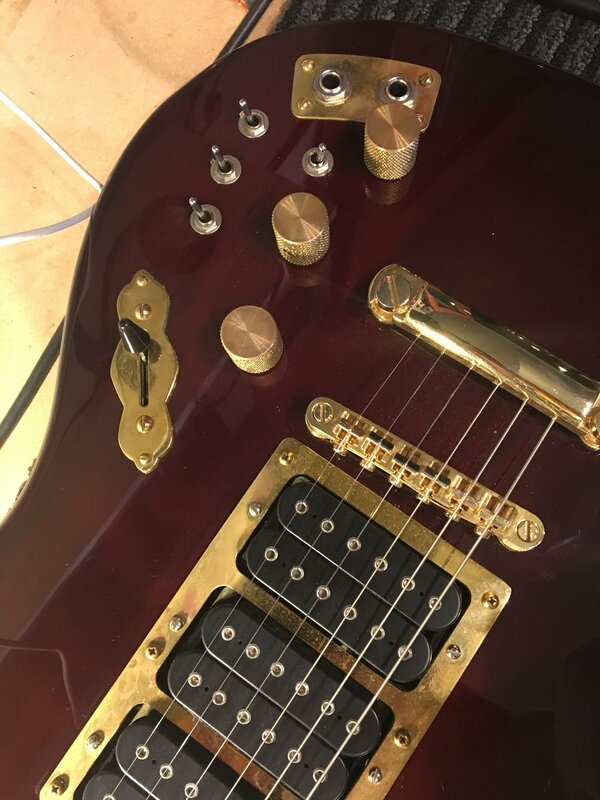 We pride ourselves on quality work and quick turn-around because we know how important it is for musicians to have their gear in their hands instead of ours. Owner and Tech Jason Cook throws some strings on a Double Agent at our Reverend Guitars clinic. Photo Credit: Twiz. 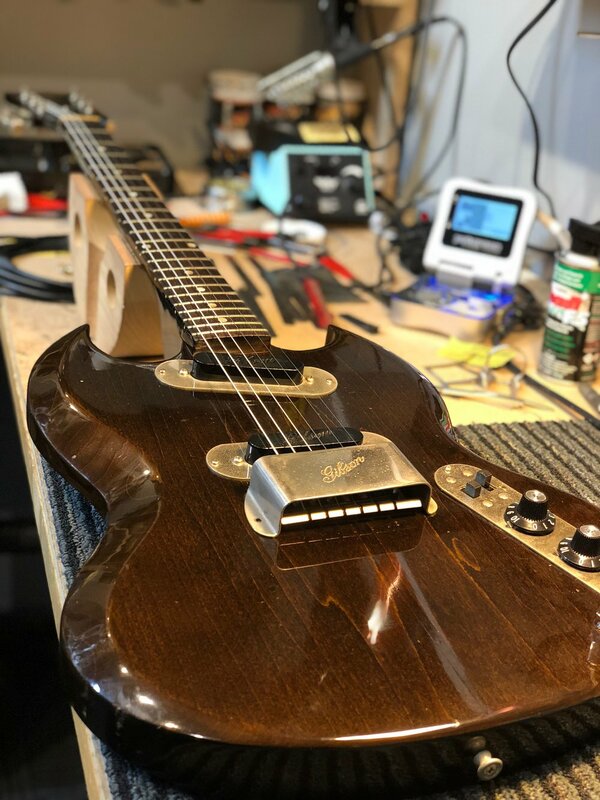 Our full setup includes any necessary truss rod adjustment, action/string height adjustment, intonation, cleaning and polishing frets, cleaning and conditioning fretboard, checking for uneven frets, tightening hardware, basic electronics testing/cleaning, and finish polishing. Additional various repairs may be made under this fee as well, depending on the job. 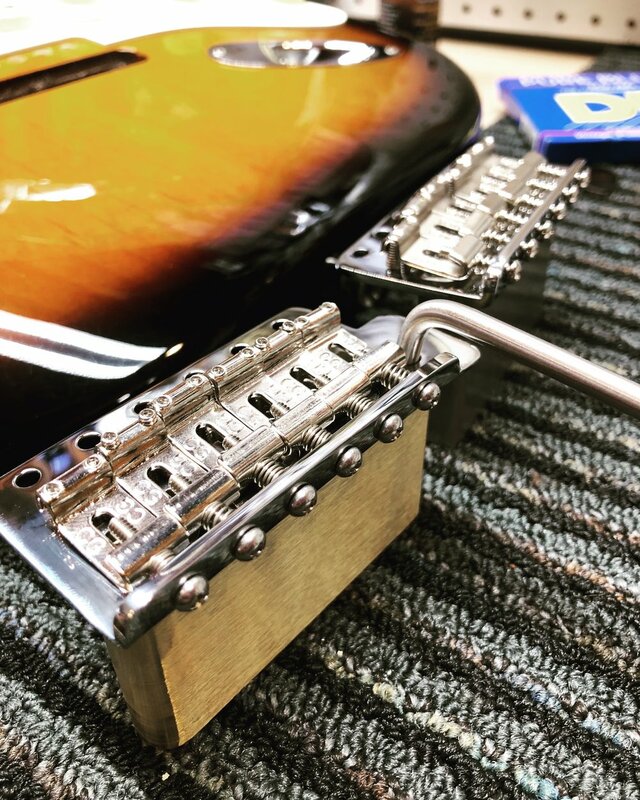 Our Basic Setup for Floyd Rose or other locking-tremolo style bridges that require additional time. If you require a job to be done quickly, this is an option to rush your service. Rush jobs are not always available depending on our overall workload at a given time. Certain jobs simply can not be rushed. This is as simple as it gets. 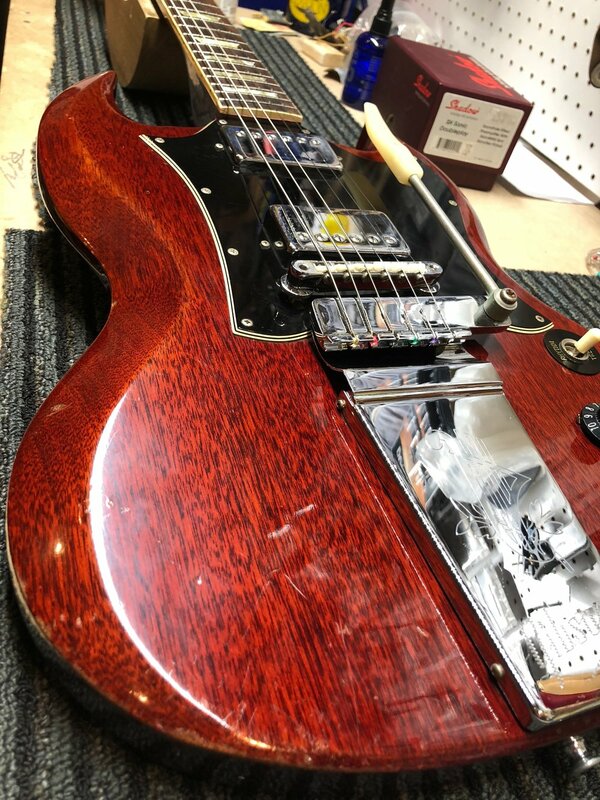 We will restring and tune your guitar. 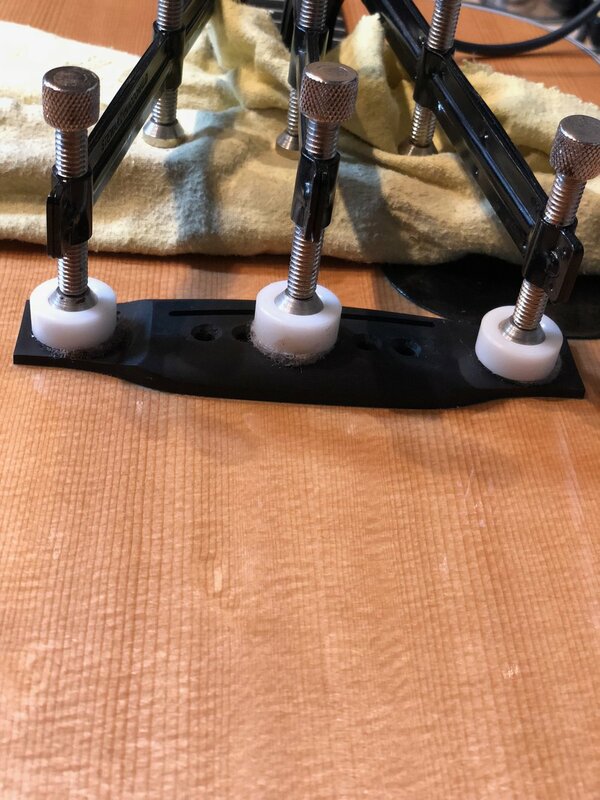 This is for basic acoustic guitars (NOT tie-end classical guitars) or stop-tailpiece guitars only. We can usually complete this service while you wait. 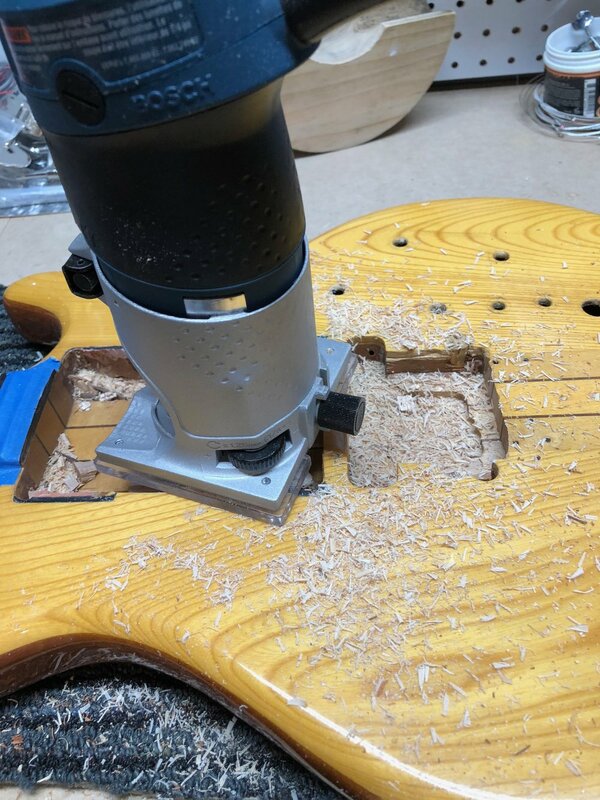 If you have a wiring job or need more extensive luthier work, we charge an hourly rate. There is a minimum diagnostic fee for having an amp examined. Should you need repair work, we will waive this fee and you will be charged for service and parts for your repair. The bench fee is assessed only when just a diagnostic is required or the owner rejects suggested repairs. An hour of billable amplifier/electronics service. While most repairs are billed for one hour, more complicated jobs will be billed for additional time. All repairs can be dropped off at our shop during store hours - no appointment necessary. 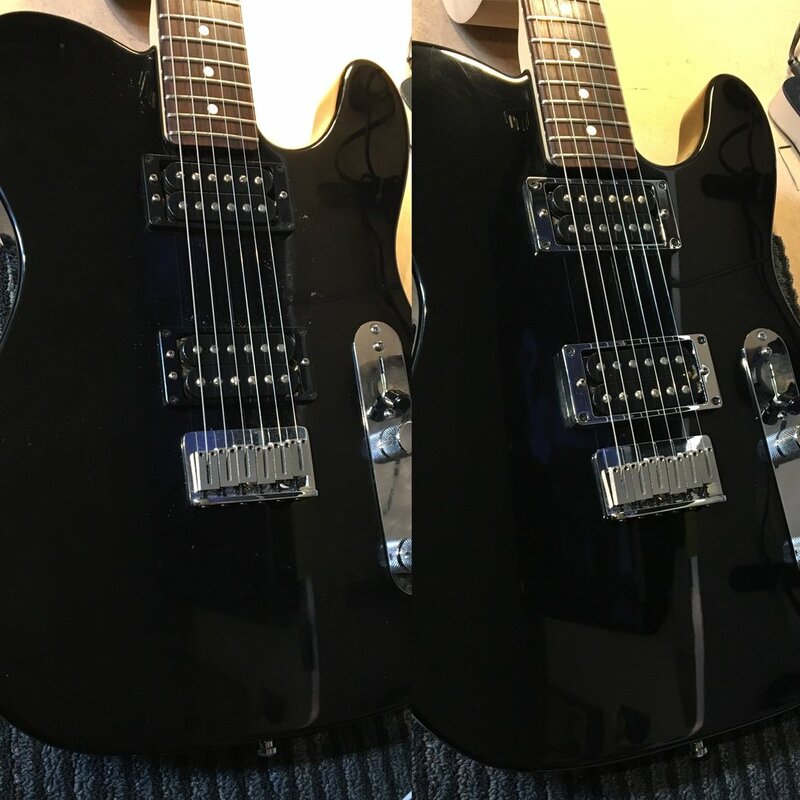 Email Jason at backstageguitars@gmail.com, or stop by the shop for job-specific inquiries.